This is G.G. 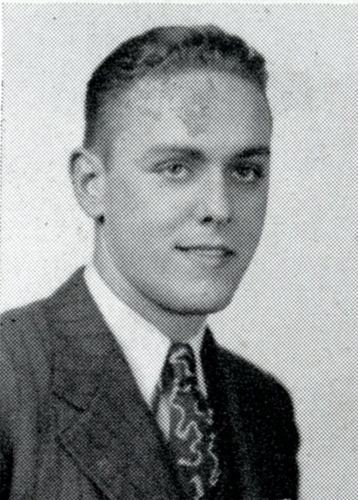 Craig, Jr., son of Gavin Craig the WKU penmanship instructor from 1922 to 1965. G.G. 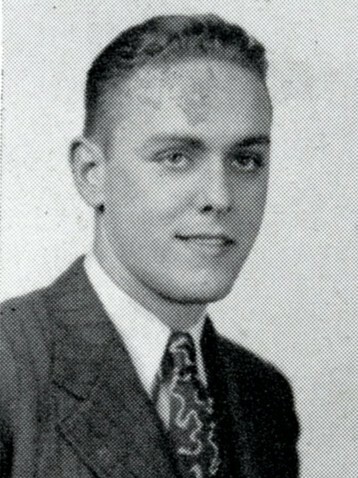 graduated from WKU in 1943 and soon enlisted in the U.S. Army. He served with the 405th Infantry Regiment in Europe where he was killed in action on March 1, 1945. Craig is interred in the American War Cemetery in Margraten, The Netherlands. The Dutch are in the process of adopting the graves of the 10,000 Americans who died during the war. They have created the Fields of Honor Database and are creating records for each serviceman’s grave. WKU Archives was contacted this morning to supply a photo of G.G. Craig for this project. We are proud of his and countless other WKU alums who have served their country and given their lives in battle. For more information on this project check out the Faces of Margraten. Comments Off on G.G. Craig, Jr.